Qatari Islamic education [is] perhaps even more radical than the most concerned Western critics were assuming. — Based on the "Review Of Qatari Islamic Education School Textbooks For The First Half Of The 2018-2019 School Year," by the Middle East Media Research Institute (MEMRI). "The textbooks for grades 6, 8, 9 and 12 glorify jihad and self-sacrifice for the sake of Islam, presenting them as virtues and as divine commandments that earn Allah's favor and rewards, chief among them admittance into the highest level of Paradise". — MEMRI. The students learn that Muslims who, despite the prohibition, befriend non-Muslims must be punished. The textbook emphasizes, "Allah prohibits alliances of any kind with unbelievers, and the Islamic nation must disavow unbelievers and their families..."
Students are taught at length about the superiority of Islam over other religions, especially over Judaism and Christianity. Judaism and Jews, as stressed in the grade 7 textbook, are portrayed as follows: "Treachery and perfidy are among the traits of the Jews throughout history"... [and] that Judaism is a distorted religion, that the Jews have an 'evil nature' and that they "want to take over the world". Qatari Emir Sheikh Hamad bin Khalifa al-Thani in 2011 "reaffirmed his commitment to spare no efforts to carry the message and spread the teachings of Islam in the whole world, noting that the Muslim nation is now in need of renewal and inspiration of the experience of Wahhab's da'wah (call)". Qatar follows the teachings of Muhammad Ibn Abdul Wahhab (1703-1792) who preached a return to "pure Islam" and urged Muslims to uphold only "the original principles of Islam as typified by the Salaf" (the 'ancestors', commonly considered the first three generations of Muslims). As a result, Qatar has been active in funding or co-funding mosques in the West, for instance, in France, Switzerland and Sweden. Arguably, the Islamization of certain neighborhoods in France, the so-called suburbs, known as the banlieues -- such as the Paris suburb of Seine-Saint-Denis, where women sometimes seem to have been erased from the cafés and the streets -- have been strengthened by Qatar's heavy investments in recent years in France's suburbs (here, here and here) and mosques ( here, here , here and here ). 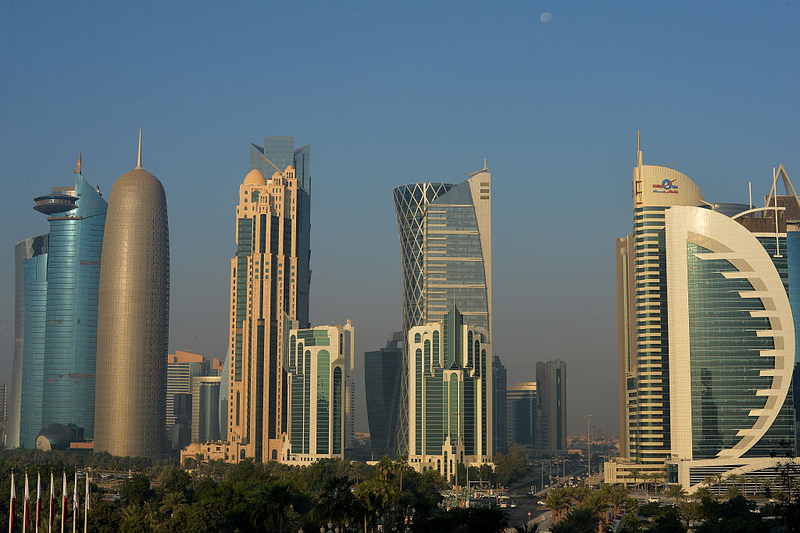 When Qatar first offered to invest in small businesses in French suburbs, concerns were voiced. "There's something going on. Nothing is free, that's for certain," French Middle East expert Karim Sader told France 24 television in 2012. "We're tempted to link the funding for the suburbs to Qatar's Islamist leanings, given the country's role in financing the Arab Spring revolutions and the Muslim Brotherhood." According to the French political scientist, Gilles Kepel in 2013, "Most of those things in the banlieues, they would not make money. They [Qatar] are buying influence." "Why would Qatar invest? An investment never comes without strings. The danger is that it could be investing with the idea of promoting a certain religion or a certain way of life. That's not a good thing." In the end, a joint French-Qatari fund was set up, which stipulated certain conditions for Qatari investments in order to calm a nervousness concerning the investments. "The new fund would not target specific geographical areas in France nor specific company profiles but will also be available for companies in 'our suburbs,' [French President François] Hollande said." In 2016, Qatari investments in France alone stood at around $22 billion. To understand better the kind of teaching that some of the mosques funded by Qatar have been spreading in the West, Qatari Islamic school education books -- produced and approved by Qatar's Ministry of Education and Higher Education -- provide a look at what Qatari leaders would apparently like to see at home and abroad. The Middle East Media Research Institute (MEMRI) recently published a report, "Review Of Qatari Islamic Education School Textbooks For The First Half Of The 2018-2019 School Year," which shows Qatari Islamic education to be perhaps even more radical than the most concerned Western critics were assuming. "The textbooks for grades 6, 8, 9 and 12 glorify jihad and self-sacrifice for the sake of Islam, presenting them as virtues and as divine commandments that earn Allah's favor and rewards, chief among them admittance into the highest level of Paradise". In grade 6, children are taught that "Allah commanded the Muslims to wage jihad". Jihad is presented "as a virtuous act decreed by Allah" and defined as, "doing everything one can in order to repel the enemy with one's hand [i.e. through action], tongue [i.e. with words] or money, so as to exalt the word of Allah the Almighty. Jihad in Islam is aimed at attaining justice and peace throughout the world". By grade 8, students are taught that "the highest purpose of jihad for the sake of Allah is to urge people to convert to Islam and to guide them toward the good path" and in grade 12, they are learning, "Those who are Martyrs for Allah do not die – they live, and reach the highest level of paradise". Teaching the disavowal of non-Muslims takes place, among other entries, through the study of Verses 1-9 of Surah 60 in the Quran, which focuses on "purging the believers' hearts of affiliation with and loyalty to anyone who does not belong to the religion of Allah the Almighty." "Allah prohibits alliances of any kind with unbelievers, and the Islamic nation must disavow unbelievers and their families... Allah states that forming an alliance with unbelievers excludes the perpetrator from the community... and severs his relationship with Allah." "Those who have declared military, propaganda, economic, or political war on Islam and the Muslims and have collaborated in aggression against Islam... 'they must be banned and hostility and hatred for them must be declared, even if they are very close to us'... Those who are not hostile to Muslims, are not fighting them, do not want to harm them, and live among them. According to the book, Allah permits Muslims to form relationships with them and to act fairly towards them, to be neighborly, and to be close to them". Furthermore, students are taught at length about the superiority of Islam over other religions, especially over Judaism and Christianity. "Islam demands that Muslims always arm themselves with a sense of greatness, honor and superiority... When the faith becomes established in the believers' heart, he immediately absorbs the [sense of] greatness. This impels him to speech and action that emanate directly from an immense sense of pride and superiority over the enemies of this religion". Judaism and Jews, as stressed in the grade 7 textbook, are portrayed as follows: "Treachery and perfidy are among the traits of the Jews throughout history". In the grade 8 textbook, "The Quran describes the Jews as haters of the truth [i.e., Islam] and its followers" and in another textbook as "weak and cowardly". In an assignment, the students are asked to "compare the Jew's attitude towards the Muslims in the time of [Muhammad's] prophecy and their attitude towards the Muslims today, in light of the material learned in the lesson. (The students are apparently expected to infer that the traits ascribed to the Jews in the chapter – treachery, cowardice, etc. – are also applicable to the Jews today)". In addition, Qatari students learn that Judaism is a distorted religion, that the Jews have an "evil nature" and that they "want to take over the world." "Christianity was a monotheistic religion, but over time, its adherents took Allah's words out of context and claimed belief in three divine beings [the Trinity] and in other corrupting religious principles". The textbook goes on to list the various perceived "distortions" of the Gospel. Students are also taught that the West is, "a hostile force that introduced heretical ideas into the Islamic world, such as secularism... with the aim of destroying Islam..." One textbook describes the impact of secularism as causing "the spread of alcoholism, gambling, prostitution, 'calls for licentiousness' and 'contempt for the values of purity and modesty'". None of these teachings is exactly a recipe for integration or assimilation into the Western countries in which Qatar seeks to project its influence -- quite the contrary.